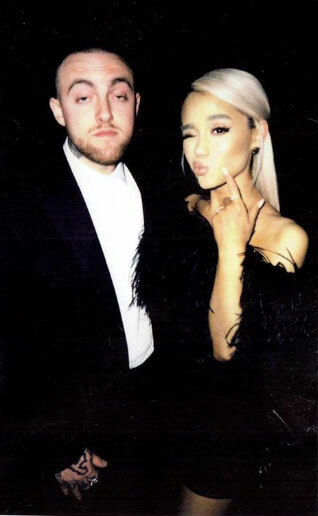 After taking a six-month break from the spotlight, the 24-year-old singer stepped out with boyfriend Mac Miller to attend Madonna’s exclusive Oscars afterparty on Sunday night. The songstress rocked a feathered black mini dress and looked gorgeous with platinum blonde locks! Ariana’s last public appearance was a benefit concert in Charlottesville, Va., in September. Since then, she’s kept an uncharacteristically low profile, including on her usually active social media accounts. Her most recent Instagram and Twitter posts are from New Year’s Eve. The pop star has been busy working on her fourth studio album, but an official release date has yet to be announced. However, the signs have been hinting that new music could be right around the corner. She also reportedly held a listening party at Republic Records last week. Hopefully, that means we’ll be seeing much more of Ari very, very soon. We missed you, girl!